Camila Batmanghelidjh is the founder of two former children’s charities - The Place 2 Be (which grew to a national) and Kids Company, where she worked with some of the most traumatised young people living in London. Kids Company was set up in 1996. It employed more than 550 staff, benefits from some 11,000 people volunteering annually and reaches 36,000 children a year with therapeutic care. In the summer of 2015, Kids Company was forced to close its doors in a cloud of controversy. It is not clear what happened with KidsCo and a book is coming out later this year. Camila trained as a psychotherapist, engaged in 20 years of psychoanalysis and has become an advocate for vulnerable children. In 2009 she was named Business Woman of the Year for the Dods and Scottish Widows Public Life Awards. Camila has also been awarded Social Entrepreneur of the Year by Ernst and Young, and Coutts and the Most Admired Chief Executive by Third Sector Magazine. She won the lifetime achievement award from the Centre of Social Justice. Kids Company was awarded the Human Rights Awards by Liberty & JUSTICE and has been awarded Child Poverty Champion Status by the End Child Poverty Action Group. In 2010 Camila and Kids Company were given the Award for Innovative Excellence by Psychoanalytic Psychotherapy Now. 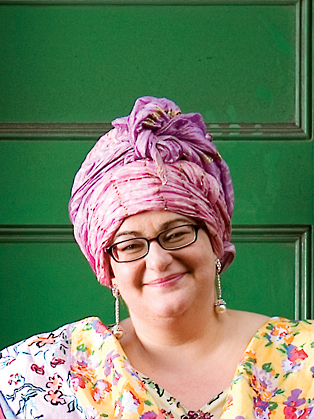 In 2012 Kids Company received the Royal Society for Public Health Arts and Health Award. Kids Company had a partnership with the University of Cambridge and UCL involving research into neurodevelopmental trauma. Place 2 Be offers counselling to children in schools, and for which I wrote the replication model, is now all over the country supporting some 34,000 children (in 2013/14) and it continues to deliver services. Kids Company which in 2014/15 supported some 36,000 clients closed "following false sexual abuse allegations, which were taken to the media. The police investigated, and found no crime had been committed. They stated they "found no fault with Kids Company's safeguarding of children and vulnerable adults". All proceeds due to Camila Batmanghelidjh from Kids will be donated to a food bank which is continuing to support the children and families abandoned as a result of Kids Company's closure.